It's that time of year again. I love Fall. Living in Florida you pray for cooler weather and Fall is the perfect time of the year. Halloween, Thanksgiving. 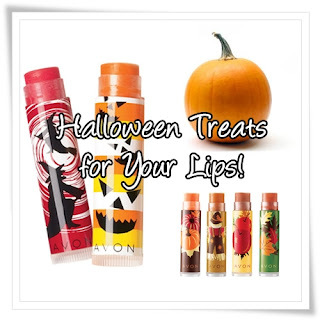 Its also time for Avon's Fall Harvest and Fall Splendor Lip Balms. Now on sale. They come in yummy flavors like candy corn,caramel apple and my favorite chocolate spice. You can choose from Halloween or Fall packaging. Stock up now and don't forget your friends. They deserve yummy lips too. Want a Free Lip Balm? Yes, I said Free. Fill out the form below and don't forget to pick your favorite flavor. Limit one per household. Tell your friends to sign up also. Have you tried Avon's new lip balms? Leave a comment below. you will be redirected back to this page.